Completely inspired by the pink and blue hues from the summer sunsets, I wanted to create and style an easy, breezy summer look that reflects the atmosphere. This summer season has been more than patterns. 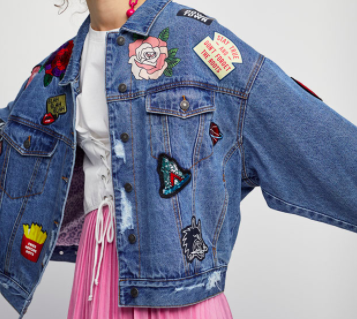 I noticed that many stylists and influencers have captured their style via the background and atmosphere around them, whether it's floral outfits on floral gardens or color blocking against vibrant backdrops of cities like Havana and Ibiza. While Antwerp is known for its beautiful, gothic-style architectures, its sunsets are glorious and to find such beautiful, widely visible sunsets in major cities like the ones here are rare. Hence, inspired by the city's sunsets, here is a perfect summer sunset look to feel vibrant, casual and cool in. Scroll down to shop this look and find the coolest summer styles for you. SCROLL BELOW TO SHOP YOUR COOLEST SUMMER STYLES HERE! To recreate this look, the key points (items) are the shirts and jackets. 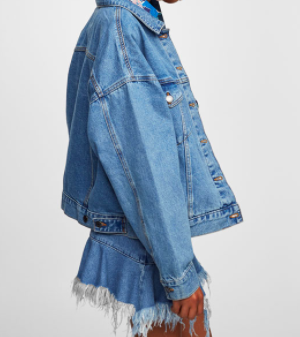 Any denim shorts will do (high-waisted to lower hip shorts), but make sure to pay attention to the denim jacket and t-shirt. (Checkout Urban Outfitters and Levis if you're looking for the perfect summer shorts). I paired my favorite go-to summer t-shirt (see here) and my cozy denim jacket (see similar here). Scroll down to shop these looks and other items you can mix n' match to fit your style. Thank you for stopping by and reading this editorial! For the shopping picks and my faves of the season, I personally handpick and shop through each item and style them together to give you the perfect look with various combinations. If there's anything you guys want to see more of or anything that you would like to see changes in, please feel free to comment below! Don't forget to follow my style-journey on Insta (see below). Always go with what style fits you best and never be afraid to explore different fashion styles, pieces and places. Fashion and styling are all about what you feel empowered, comfortable and strong in.